Well, I was supposed, or I guess at least I sort of half heartily mentioned that I should blog something this week. Both to you, my dear reader and to my Mistress. The real fact is that I don’t have much to write about and secondly, friend coming around with vodka threw an entire spanner into my works. I know, that this time of year it is normal to reminiscence about what happened in the last year to you, at least if you go by the various blogs on the internet. But frankly I have nothing to say. If that is due to me being happily social over the Christmas period, or just tired and slightly merry by friends visiting earlier, is an exercise I entirely leave to the reader. Last year was good. Things are slowly changing for me personally in ways that I never saw happening a few years ago. A lot of thanks to changing locations and friends but above all, the love and support of my Mistress. I know this is pretty much the shortest post I have ever written but the words seem not to come to me. I am pretty much entirely running on empty. Blame my friends! But, please allow me to part with this thought. First of all of all extend my best wishes to you and hope that you had a wonderful Christmas from the bottom of my heart. As for the coming year, I hope and fervently wish that in the year 2014 all your dreams may come true. And above all, keep those you call your friends close and reciprocate the attention, love and warmth they give you. True friends are a rare and wonderful thing in this world and one should cherish them. Thus comes to end the year of blogging 2013 with this last post, a short one in contrast with all the prior posts I have been making but such is life I suppose. Happy new year folks! Stay safe! Well the penultimate blog of this year. There is only one more week left in December and then we are off to 2014. As promised last week today I am writing again about the 30 questions of kink, spread over two days a week apart. A bit of long winded descriptions hence why I choose the simpler title. Today’s questions are numbered 16-30. Probably next week will be a shorter blog as I recover from Christmas and the copious amounts of food and booze I more than likely will imbibe. But I am sure I will be fact in full form in January. Speaking of January, that means that the time that the yearly stats will be released is also short at hand. I am looking forward to it. While I enjoy writing and develop constant new ideas for stories and scenes that I at some point may work out into a full story, I am also always incredibly happy with seeing how many likes, views etc I have gotten per blog post. But to see how much I have written and so, is even a bigger thrill. Well the time for Christmas is rapidly approaching and this means that I am rushing all over the place to finish my projects for this year, along with all the usual stress of Christmas. I can say only one thing. Thank heavens for the likes of amazon and online retailers. It really means not having to deal with people as much as I used to have to. 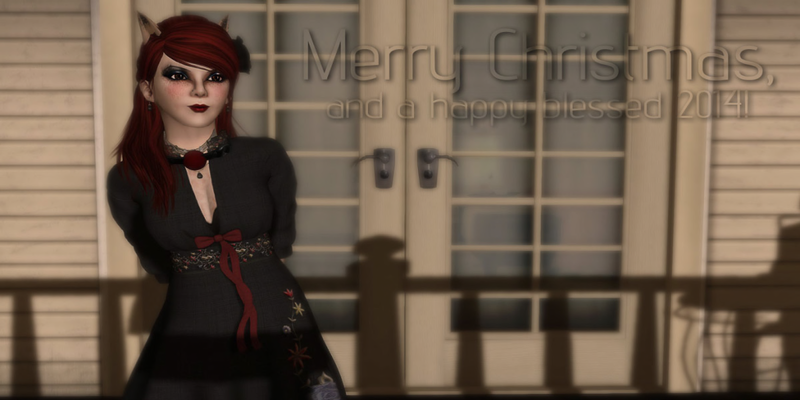 But since I am not going to moan here too much about shopping (SL shopping is so much easier *laughs*). Let us have a look at what I shall write about this week. As I made the promise last week, this week I am going to do another questionnaire/meme or whatever the correct nomenclature you want to give to it. As per last week instead of doing the thirty days challenge, I am making it a thirty questions. Of course, as per last week, if there are questions that I think are worth their own separate blog post I will eventually get around to writing about it. So, for that, I would say, watch this space. This week, the subject is not submission but kink more in general. This may be both easier to write about or harder (I already have seen some questions that made me blink). While looking at my blog a couple of weeks ago. I came across a, well I suppose meme, or just plain ol’ questionnaire is the correct nomenclature for this. They were labelled 30 days of submission and thirty days of kink. Basically they exist of thirty questions (who would have guessed this, huh), that explores and goes deeper into the various aspects of either submission and kink. Obviously having something to write to is always an easier option, and thus I went for both. I will try to finish each one in a week rather than taking up the next 60 weeks (gosh, that would push me into January 2016. So I probably keep the answers nice and short and roll from here. However the chance is always there that there are questions that I would like to explore in more depth and if that just happens to be the case, then I’ll post a full subsequent blog at a later and to be disclosed date. Because the the questionnaires are quite long in themselves (over a thousand words), I am going to use the short form questions here and you can find the link to the full questionnaire on each blog. For this week, I decided to go with the thirty questions about submission. Always best to get in with the personal touch. This means that next week should be the thirty questions on kink. So, onwards and I hope you enjoy!